KAMPALA- The former Central Bank Executive Director Supervision, Justine Bagyenda has been granted access to her passports to enable her travel for Christmas Holidays. COSASE Chairperson Abdu Katuntu, however, told Bagyenda that the committee will resume work on 8th January 2019 and that she will be expected to appear before the committee alongside other witnesses. Katuntu told Bagyenda that if she does not appear as required, the committee will not issue summons but rather a warrant of arrest. 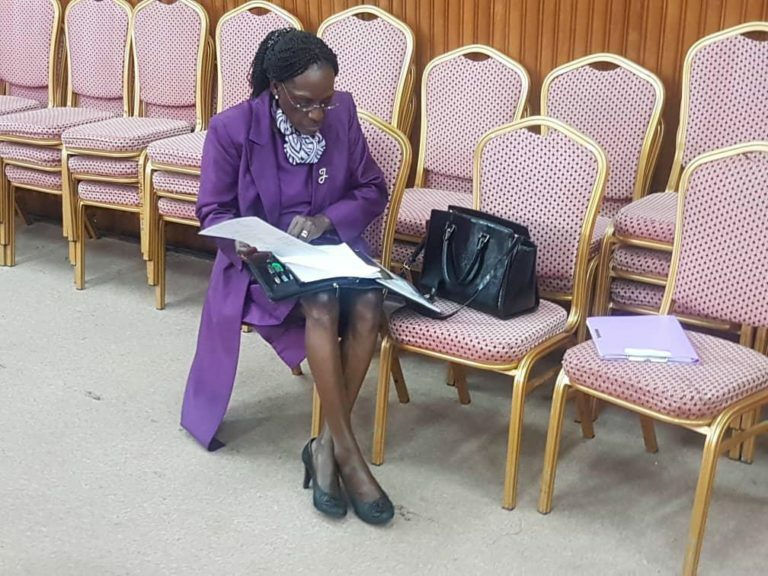 Katuntu’s ruling excited Bagyenda who was clad in a grey suit and after the committee closure, she was seen going to pick her International and East African Community (EAC) passports from the officer-in-charge Parliament Police. Bagyenda’s passports were confiscated by COSASE early this month after Bagyenda snubbed the committee. She was expected to respond to queries on the irregularities in the sale of commercial banks over the years. But at a time she was needed to respond to the queries, Bagyenda suddenly travelled to Houston, U.S.A to attend the International Trauma Summit. During her absence, the evidence presented to the committee indicated that she was in charge of supervision at the time of the closure of banks, and was at the centre of all operations and irregularities of the bank. Upon her return, Bagyenda was asked to deposit both her International and East African Community (EAC) passports with the Parliament Police officer in charge. Katuntu insists that Bagyenda is a very critical witness since all the bank closure transactions were based in her office.